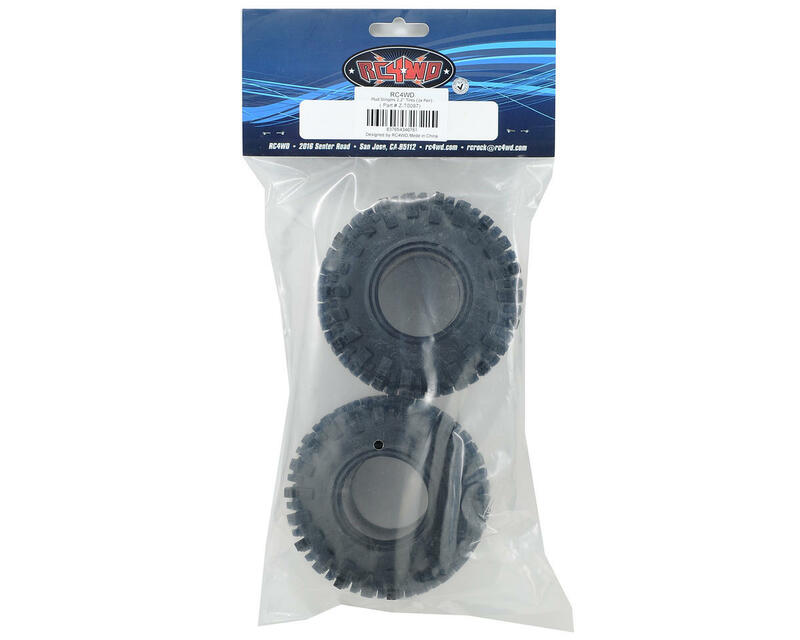 This is a pack of two RC4WD Mud Slingers 2.2" Tires. This tire was the first RC4WD tire offering for the tire market. The tall, aggressive lugs with side biters really dig into soft surfaces and have fantastic grip on rocks. These are easily one of the best 2.2-inch tires available. The pattern includes a variety of fine details that really make the tires stand out, and give your rig an aggressive look. 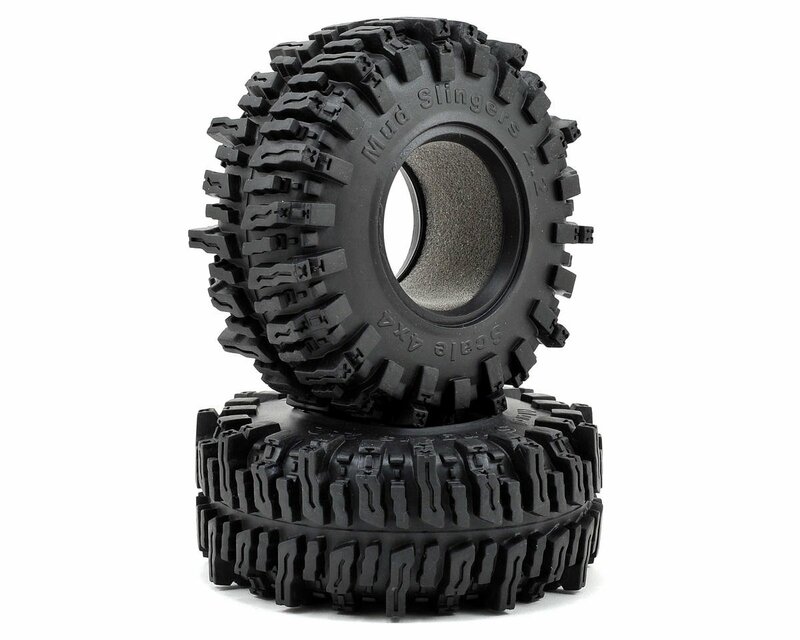 These tires have a smaller bead area and fit best on most glue on wheels, when compared to the original version of the Mud Slinger. The compound is much softer than the original as well, requiring the use of the included foam inserts to support the truck. The inserts can be trimmed if you desire a softer, more conforming tire. However, the included foams are nice and soft and “just right” with a good mix of support and flex. Absolutely love these tires. Mounted very easily on Proline Titus 2.2 beadlock wheels. The size is perfect for wanting a taller tire without having to cut the Axial Jeep Cherokee body. Massive traction on EVERYTHING.